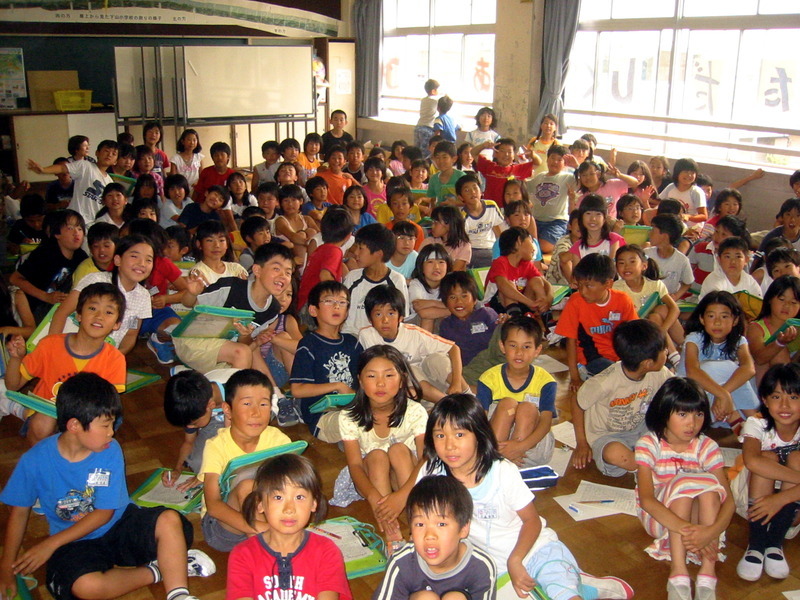 So yesterday, I had to talk about America in front of the whole fourth grade class at ShitaYama. I sort of blew off preparing for it because I was like, whatever, America, no problem. I also sort of blew off the fact that I had to do it in Japanese. Japanese, I thought, what's that, just a bunch of different words or whatever. I'll be fine. Anyway, my talk wasn't voluntary (for me or the kids) so the whole 4th grade class showed up, like 120 of them and I just about pissed my pants when I walked into the room. 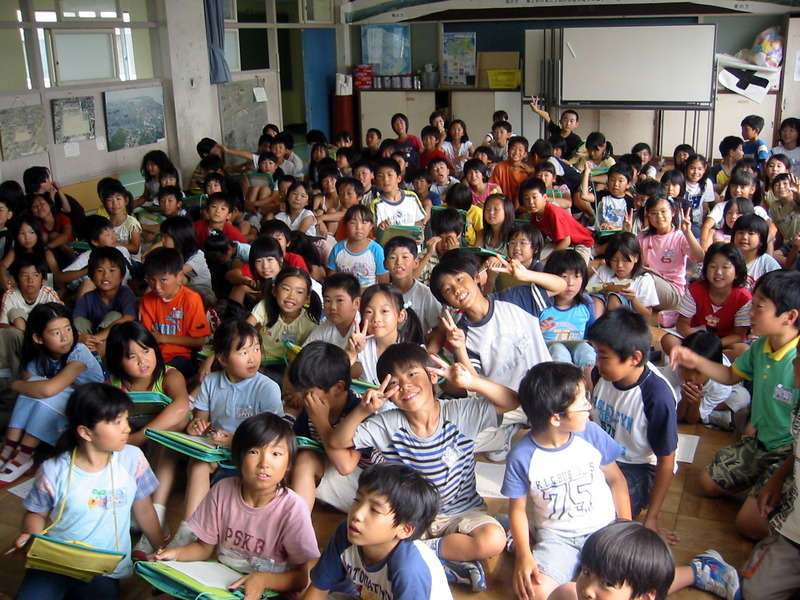 There are a couple of things that you might want to be careful about trying to do in Japanese in front of 120 4th graders. A) Tell jokes. Skip it, they're not funny anyway. B) Talk about the climate without having researched the vocabulary you might need to talk about the climate features of our great nation. C) Take questions. Yeah, how old is the Statute of Liberty, anyway? I got no idea kid. Ask me about my favorite food. _Norweigan Wood_ in Japanese is just about all I can stand right now. It's so fabulous. I have these perfect moments of clarity about every five pages and it's like a shaft of light from Tokyo. 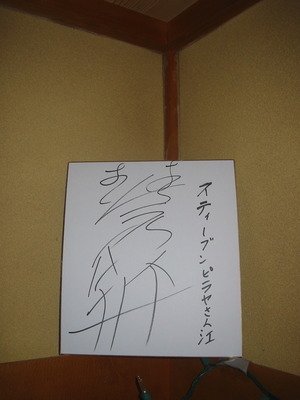 This here is a picture of the signature of my 2nd favorite sumo wrestler, Koutoushuu. He's from Bulgaria. And he's the man. Emiko is my hero for getting this for me. Seriously, I was so happy, I almost cried. Yeah, I know, it's pathetic. Lastly, as a birthday gift to myself, I'm growing a moustache. Well, we had another group of well-meaning, short-term missioners out at the church today. You guessed it: singing, dancing, awkward drama with people dressed in black and Jesus in white, uncomfortable testimonies with crying. I don't have the heart to be real skeptical about it because it reminded me so much of my college years. Yes, I too was a bright-eyed, bushy-tailed Evangelical who, if given another year, probably would have come out to a country like Japan to do some drama. Well, they were good kids, at least. I can call them kids because next week I'll be 23. You know what I hate: when someone says, *My book was published this spring,* when, in fact, they paid a company to PRINT their book for them and then gave their book of stories to their friends. That doesn't count. I'm sorry. Lastly, Christian art has all the controversy and excitement of a Matchbox 20 record. I said to a kid in English today, after he made fun of my Japanese, "When I rule the world, people like you will be in charge of taking big rocks and making them small." So here's why "Norwegian Wood" really struck a chord: it's all about loving someone with the belief they will get better, that things will work out, when, of course, they never will. Because you read this story and you start to think the way the narrator does, that waiting for his love to become who he thinks she should be is okay. And that it will work out. And when the girl ends up not being who he wanted her to be and he begins to see that he just lied to himself, all he can do is pack his rucksack and go to Kyoto and run and run because he'd come to believe his own lie so well. We are all in Japan for different reasons. I finished *Norwegian Wood* in ten hours yesterday, sitting on the Shinano River, then, when the sun had gone down, at a plastic table outside of Daie. As it's becoming increasingly clear that very little matters in my job except smiling and keeping a couple of people happy, I've kind of done some cutting back on the things I might have worried about before. Today, for instance, I am not wearing a dress shirt and I haven't shaved and I didn't really get a lot of sleep last night. The shirt is the only new thing, but it's too freaking hot to wear a dress shirt or a tie. Plus, I'm teaching them Head and Shoulders. This isn't rocket science and I'm sweating. 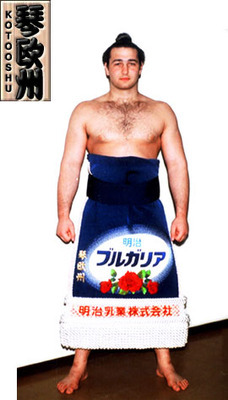 Also, I've taken to singing the Mastuken Samba theme loudly as I am walking down the halls. Today, I got about five fifth grade boys to follow me, dancing and singing and we all stopped at the sinks where a bunch of girls were brushing their teeth and sang and danced for them too. Yesterday, during the Do You Like...? Lesson I was asking all the sixth grade boys if they like the sixth grade girls and all the girls if they liked me. Anyway, I say, Viva Samba. Ma-tsu-ke-n Saaaaaaaaa-m-baaaaaaaaaaa. OLE! PS You want a sweet part-time job? All you gotta do is work for me. Here's the deal: I have cds mailed to you, you rip them and email me the mp3's and then hold the cd's until I return to the states (in 2030). I will pay you something I'm sure. Plus you'll get a bunch of cds on loan. There's this kid at one of my co-worker's schools who likes to shout *I have a big pen-is! * during class (and that pen is pronounced like the pen you write with, Ramon). I think that's the funniest thing I've heard in a long, long time and if it was my kid, I would totally praise his fine use of our fine language. I find myself laughing as I go to sleep just thinking about it. You know what pisses me off? *Cheaper by the Dozen,* that Steve Martin movie. And you know what should piss me off, but I've lost energy — Evangelicals from the States. I met another a load of them this weekend that are in Japan to bless the Japanese people, whether the Japanese people want their blessing or not. Or rather, whether the Japanese people can understand that they are being blessed (as it is happening in English) or not. Short Term Missions is just a religious-way to say *Sightseeing Trip with Feel Good American-style Evangelism to Make You Feel like You Accomplished Something and You Can Get All Your Wealthy Friends to Pay for by Making them Feel Guilty. * Completely ridiculous. Somebody, talk some sense into someone. And while you're at it, give me style and grace. Okay, so believe it or not they have created a library ofI incredible proportions here in Niigata. Like with computers and books in English. Be still my heart. Everything I own electronic is breaking or has broken. I interviewed for the best job available in Japan for a person of my education level. That feels good. I just have to beat out two other saps. Not saps. Probably brilliant people that could beat the whiz-nit out of me. If I lose, well, you know, whatever. I might move into a house with some people. 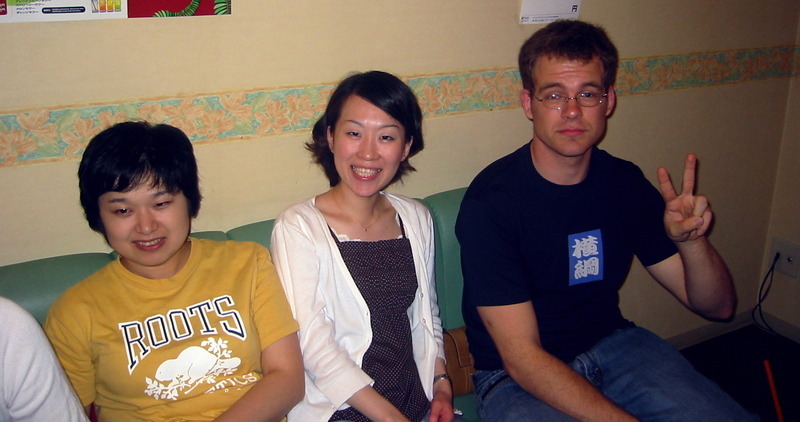 Jim, the missionary from Shibata (who's not involved in the move), said it would sort of be like Friends. I also got hit hard in the balls twice today by kids rushing me during Color Touch Game. Also, one of the teachers also told me that I was good at soccer after seeing me out race a second-grader for the ball. Right on.